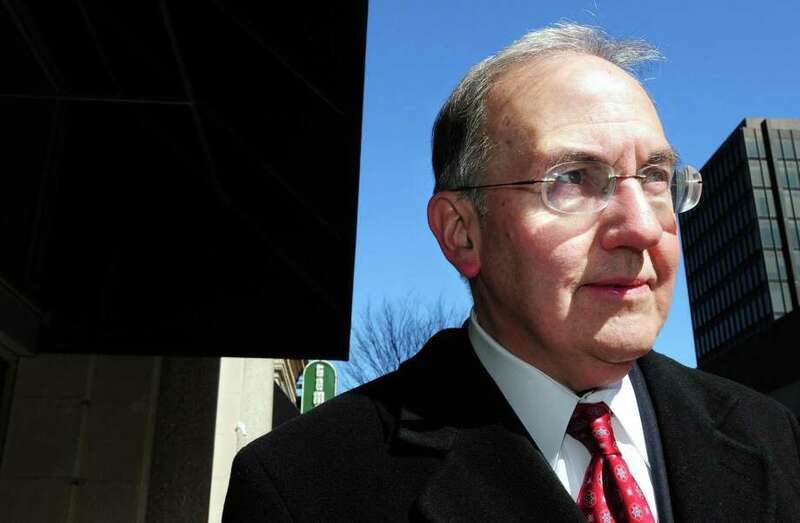 State Senate Majority Leader Martin Looney is photographed in New Haven on 3/4/2011. Looney recently filed a bill aimed at school consolidation in Connecticut. WESTPORT — Local leaders are unsure of what to think about proposed legislation that would require school districts with fewer than 2,000 students to join other districts, in order to regionalize populations and save money on administrative costs. State Senate Majority Leader Bob Duff, D-Norwalk submitted the legislation and said if the bill passes, those districts not cooperating within five years could lose state Educational Cost Sharing funding. Duff’s co-sponsor of the legislation is state Sen. Cathy Osten, D-Sprague, co-chairman of the budget-setting Appropriations Committee. A related bill, filed by Senate President Pro Tempore Martin M. Looney, D-New Haven, would require school consolidation in towns with populations under 40,000. With an estimated 2016 population of 26,511 according to the Connecticut Data Collaborative, Westport Public Schools would be eligible for consolidation under Looney’s bill, but not under Duff’s. Last year, Westport had a total student population of 5,541, which surpassed Duff’s 2,000 student threshold. “I came out against Sen. Looney’s bill because this is a broad stroke approach that would have a negative impact on a wide variety of towns in my district,” said state Sen. Will Haskell, D-26, who’s district includes parts of Westport, Bethel, New Canaan, Redding, Ridgefield, Weston, and Wilton. Regionalization efforts should be aimed at government efficiency to improve the quality of services and save costs, such as in the case of the proposed Fairfield and Westport joint 911 dispatch center, Haskell said. Any changes to education, however, should be made with the goal to improve educational experiences, Haskell said. Haskell said he is interested in Duff’s bill because it’s only focused on school districts under 2,000 students and specifically on back office consolidation efforts, such as having a joint superintendent for small districts. Redding, the only town in Haskell’s district that has a student population under 2,000, already shares a superintendent with Easton, Haskell said. State Rep. Gail Lavielle, R-143, who’s district includes a portion of Westport, said an effort to regionalize districts for efficiency reasons alone is not an appropriate move. State Rep. Jonathan Steinberg, D-136, who’s district includes most of Westport, did not respond to request for comment on the proposed bills. Westport First Selectman Jim Marpe said he is cautious of any legislation that would force Westport Public Schools to combine with another area district. “Our world class public education system in Westport is the primary reason that most families move to Westport and remain here. Our school system has set the bar for public education not just in this area, but I think on a national basis, and I’m concerned that any arbitrary combination of our district with other districts runs the risk of diluting their quality,” Marpe said. Mark Mathias, Westport board of education chair, said he nor the board have looked deeply into either of the proposed plans. “It’s certainly worth looking at, but I haven’t learned enough about it to form an opinion,” Mathias said. Westport Superintendent Colleen Palmer did not respond to a request for comment, but Weston’s Superintendent William S. McKersie apparently took Sen. Looney’s bill as a threat. Includes previous reporting from staff writers Emilie Munson, Lynandro Simmons and Jordan Fenster.